Confession: I Googled myself recently. It was actually to see who else would show up, but the search also pulled up these posters I created for my neighborhood a few years back. Poking out of the internet like daffodils. 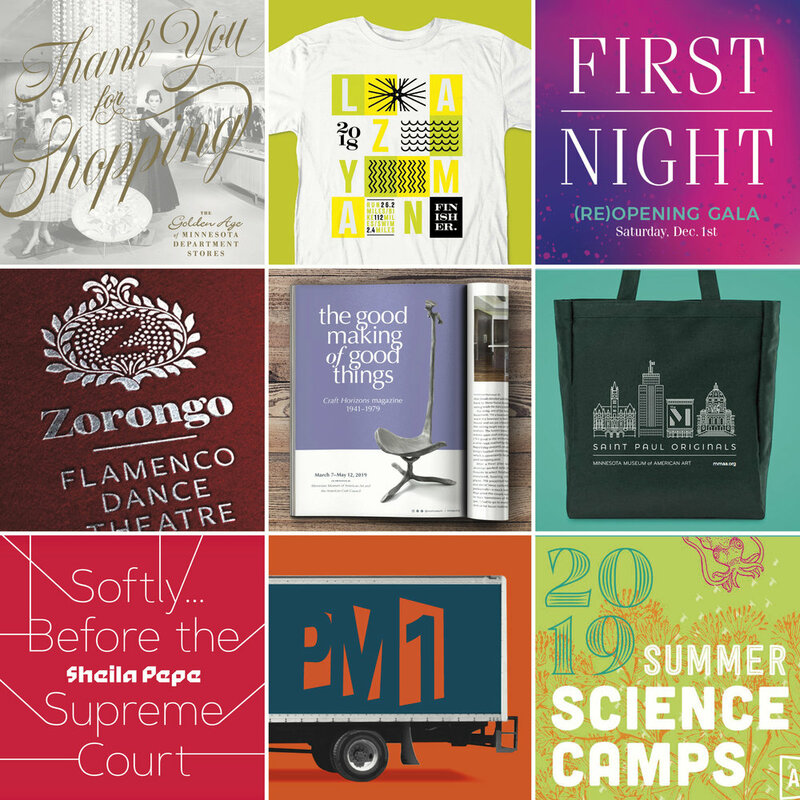 In the spirit of this year’s #topnine trend, here are nine highlights of 2018 client work. And nine snippets of good work that didn’t make it past Round 1. #alsoran…. I don’t think there is any higher compliment than having your design work made into cookies. These guys ran, swam, and biked 140 miles to complete the 12th annual Lazy Man challenge — they’ve earned the right to get cookie crumbs all over their commemorative T-shirts. Not really. But I did help Chanhassen Dinner Theatres refresh their venue rental game. 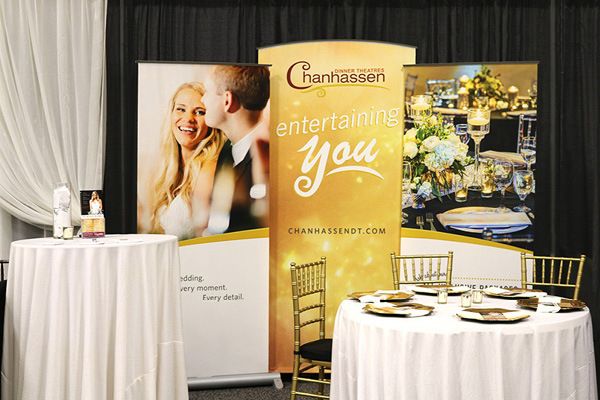 Ceremonies, receptions, mitzvahs and corporate parties are an important part of CDT’s business portfolio, but their marketing materials needed a little love. I worked with them to design assets that help prospective renters see themselves in the venue. CDT’s existing marketing materials included a flourishy logo and a tagline to match, so our new materials lean on neutral typography and a structured, unfussy layout template. We also added an ethereal, glittery background image that can be both an expression of celebration or a muted textural base for color. I loved this from the first I laid eyes on it. I loved the (apparent) simplicity. I loved how the graphic language came to life in video and real life. I loved the transparency of the video production: a white seamless, studio lights and a camera, and a couple actors dressed in simple jumpsuits wearing masks — masks that I could envision being assembled on a studio table with X-actos and packing tape. As any seasoned creative knows, things that appear to be simple are usually the results of experience, hard work, creative confidence, vision and tenacity. Credit goes to the design duo Leta Sobierajski and Wade Jeffree who infuse their work with a sense of vulnerability (they were the actors in the jumpsuits) by literally and figuratively putting themselves into their work.